A recent Zillow report showed that baby boomers (ages 54-73) represent the highest percentage of people building new custom homes. 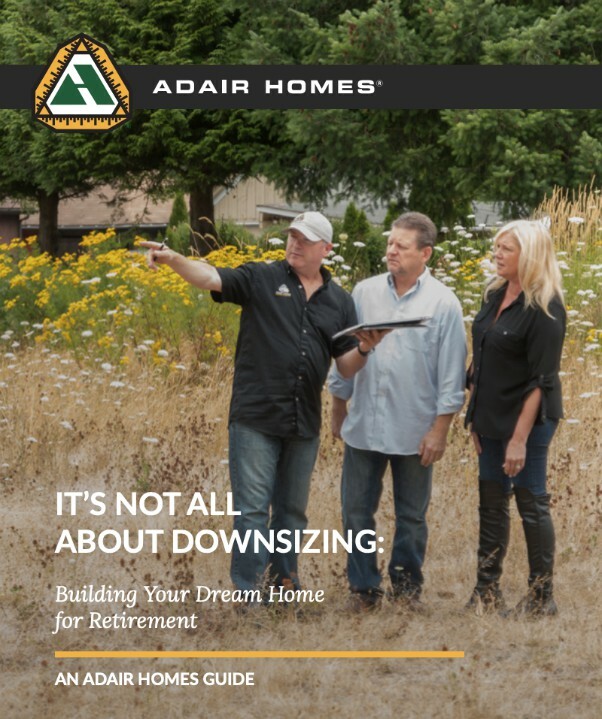 Every day, more and more empty nesters are realizing that “downsizing” doesn’t have to mean moving into a one-bedroom condo—it can mean building your dream home. In this new guide, we look at the must-have amenities for your dream home for retirement, what to consider when choosing a floor plan, the complete timeline for building a custom home, and more. Complete the form to get your guide now!